Google's Keyword Planner provides the starting point for your SEO efforts. 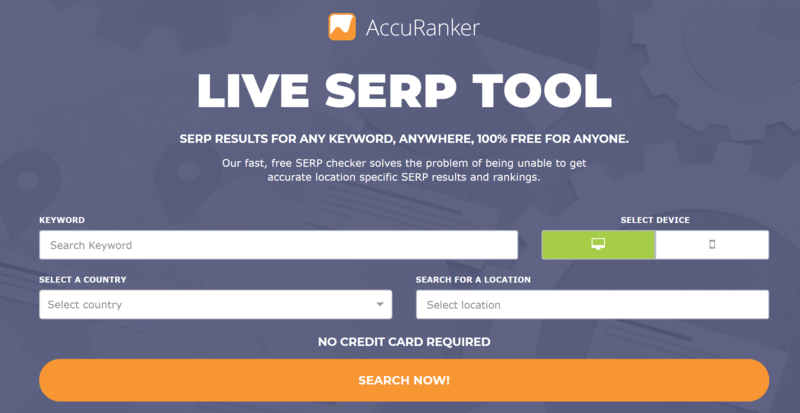 It is a free tool accessible through your Google Adwords dashboard, which not only shows you the monthly search volume of any keyword you care to research, but also provides historical data. This allows you to see if a keyword has enough search volume to justify targeting it with a piece of content, as well as finding new keywords relevant to your business. Additionally, you can use this essential tool to follow trends and identify burgeoning niche markets before they hit the mainstream. Google Analytics is the backbone of any Marketing endeavor. It's available for free and it gives you invaluable insights into a ton of relevant data. Importantly, Google Analytics has started rolling back the information it shows webmasters regarding keywords. For a quick fix, check out your Search Console or try paid services such as SearchMetrics and SEMrush. Formerly known as Webmaster Tools, Search Console is the another important analytics tool provided by Google. Giving access to essential data on a variety of different aspects, Google's Search Console is a must-have for all webmasters. Crucially, this tool also provides a line of communication between you and Google. If your site is given a manual penalty for example, Search Console will explain why. On a brighter note, Search Console will also provide you with excellent insights regarding the performance of your website, as interpreted by Google. The most important aspects include your crawl budget, your link structure as well the number of indexed pages. Unscheduled maintenance and tracking problems on SEMrush were starting to impinge on my work, so I decided to look for an alternative. Accuranker has a 14 day free trial period so I decided to check it out. My experience with the tool was positive overall. I love the Bing keyword tracking feature in particular. I also liked the no-nonsense layout and user experience. The no-frills reports are a little too stripped down for my liking however, and I found the Social Media tracking tool to be inaccurate. These are minor issues, but signs that Accuranker still has a way to go before becoming the finished article in my eyes. Ahrefs is by far and away my favourite link building, auditing, and checking tool. In the three years I have used it, it has become an invaluable part of my work, both for checking for new link opportunities as well as analysing competitors. I am not the only one either, with 31 Industry experts voting Ahrefs top in a survey on Link Building Tools. To get more tips on how to use Ahrefs, check out my actionable guide to link building. which are valuable metrics indicating the strength of the domains. KwFinder works on a freemium model, meaning that once signed in, you can use the free version for up to 5 times per day. For paying customers, searches are unlimited. LSI keywords (Latent Semantic Indexing) are essentially keywords that are semantically similar to your focus keyword. These do not necessarily need to be synonyms! LSI keywords are not static, but change all the time based on trends in contemporary culture. As an example, if you input "Barack Obama", the phrase "new immigration bill in congress" appears. This phrase will not be a LSI keyword in 6 months time. LSI keywords are important for SEO, because the Googlebot (and many others) scan your pages, trying to figure out what they are about. The easier you make it for Google and other SEs to figure out what your content is about, the faster and better your rankings will be. 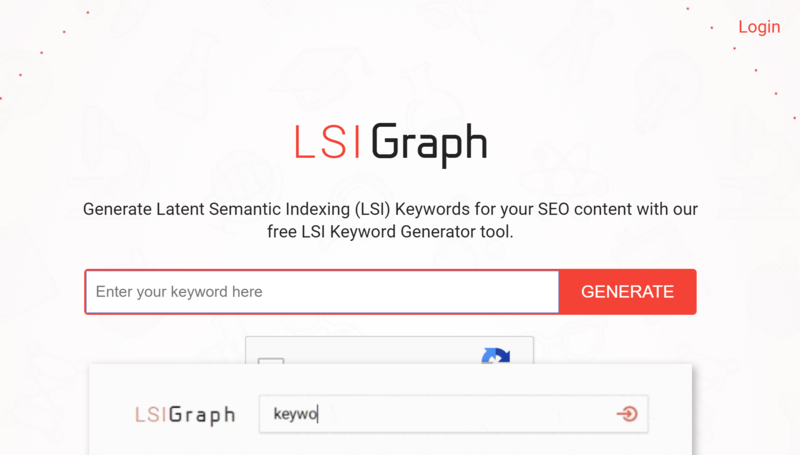 LSI keywords play a significant role in this regard, and the LSI Graph is the easiest way to find them. Ever need a portal to link you to all the best resources? If your main concern is getting your business on the map and nailing local SEO, Then check Local SEO Checklist out ASAP. Excellent resources for all aspects of local, On-Page, Off-Page, Google Analytics, content strategy and anything else you can think of. Panguin tool is a secret gem that has definitely not received the attention or credit it deserves. 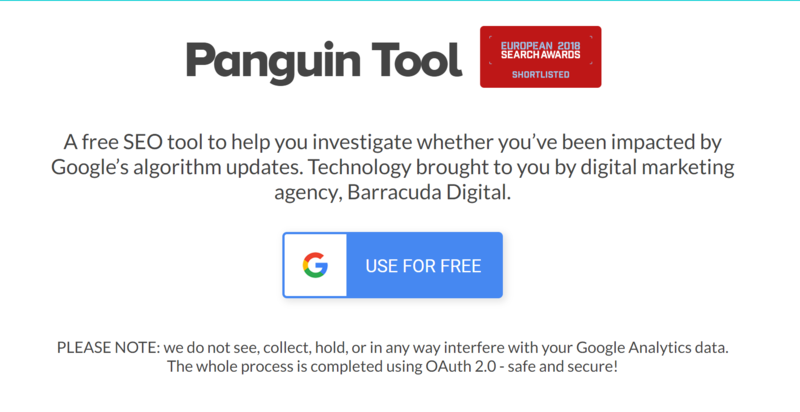 Created by barracuda, Panguin tool allows you to check if website traffic has been affected by a Google algorithm update. It's free and no strings attached. All you need to do is connect your Google Analytics account, and Panguin will overlay all algorithm changes automatically, giving you an invaluable insight into the history of the domain. With this information you may well discover a previously unknown penalty which has harmed rankings. For enterprises looking for an all-in-one solution, Searchmetrics is the perfect fit. Expensive but worth it, should be their slogan. Everything from Social Media, to global keyword rankings is covered in the Searchmetrics suite. In terms of accuracy, the global keyword tracking here is miles ahead of the competition. That being said, Searchmetrics does have weaker spots. The domain's own visibility metric seems arbitrary and was a constant source of confusion (I stopped using Searchmetrics about a year ago). Sistrix has been helping Webmasters make sense of their rankings since 2008. Available in 12 countries, Sistrix tracks the rankings of millions of keywords, translating the result into the world's first Visibility Index. On top of that, Sistrix comes equipped with an On-Page analysis tool, providing users with warnings, errors and suggestions. It's a really cool feature, which is easily the best in the business of this type. For busy Marketers and small business owners, Buffer is an absolute life saver. It allows you to quickly share your Social Media posts across all your channels from one easy-to-use dashboard. In the long run, this saves you an inordinate amount of time, which would otherwise have be spent jumping from Facebook, to Twitter, to Google Plus, to Pinterest and then over to LinkedIn. As an excellent Online Marketing tool, Buffer naturally allows you to set hashtags and even tag users across Social Media channels. Additionally, it will pick an array of suitable pictures from your page, for you to include in your post. This step alone will save you hours per year. With Buffer, you can head over to the post you want to share and use their Chrome extension to share it within seconds. Considering the price of $10 a month, I consider Buffer a must-have tool for everyone squeezing the most out of every second. BuzzSumo is one of the most valuable marketing tools out there. For the most part, I use BuzzSumo to find the most popular content on a specific keyword. Armed with this information, I can adapt my content creation strategy around content that has previously worked well. More than that, BuzzSumo allows you to look at who has shared the content, giving you a valuable head-start with regards to link building. Another feature I use a lot involves finding Influencers. After entering a keyword or topic, BuzzSumo will provide you with a list of industry heavies, including their websites. If, like me, you often find yourself having to form relationships within your and related niches, this feature can be a real time-saver. If you haven't heard of Canva yet, I am delighted to introduce it to you. It is by far and away the best free design platform I have come across. With extensive features, free uploads and high quality download formats, Canva has proved invaluable to me and millions of others. Use it to create banners, images, graphs, postcards, flyers, and social media posts, all for free. The easy drag and drop nature of Canva makes it fun to use, and although some actions (such as cropping) are tougher than they need to be, the platform is staggeringly good, considering it's free to use. I could not recommend Canva highly enough, and urge you to try it if you aren't using it already. Cliclap is an awesome Social Media Marketing tool, which allows you to add your Call-To-Action to any piece of content. Cliclap therefore can be used to harness the power of influencers to promote your goods and services. Currently still a free Online Marketing tool, I highly recommend you check it out. For further reading, why not check out my comprehensive Cliclap review? Mailjet is without doubt my favourite Email Marketing tool. The interface is easy to navigate and launching large campaigns is simple. The Email builder allows for a quick setup of templates and one-off emails. The A/B testing function is particularly helpful, as it optimises your campaign on the fly. Additionally, each campaign comes with click, open and receive data for each campaign. On top of the excellent product, the pricing is very reasonable. It's €71 for 150,000 Emails a month, with options going below and well above that limit. Not bad at all. Piperive is an excellent choice for all small business owners looking for a reliable CRM tool. At its core, it provides a central database of contacts from where you can track cold leads, as well as existing users. Specifically, Pipedrive allows you to create deals, which correspond to a stage in your customer acquisition funnel. By creating deals and attributing them to the correct contact, you can keep tabs on your potential customers. Additionally, Pipedrive lets you schedule activities and share your dashboard with team members. This way, all the members of your Sales and Marketing team know exactly where each lead stands in the acquisition funnel. With this information, they can touch base, solve problems and subsequently minimise the drop-off rate. For many small business owners this may not seem like a priority right now. In the beginning, Spreadsheets and traditional contact books often do a perfectly fine job. As your business grows however, and the number of clients multiplies, your need for some kind of CRM tool will become overwhelming. This is especially true if you have a number of people doing customer-facing work, as you want to avoid multiple, uncoordinated points of contact for your customer. On top of that, Pipedrive allows you to easily sync with your Gmail account. This makes it really easy to do all your emailing from PIpedrive and makes keeping tabs on leads particularly easy and convenient. Another great advantage of Pipedrive, is its impressive array of integrations with third parties. Helpscout for example, is an excellent customer support tool which integrates well with Pipedrive. There are a bunch more and I recommend looking at their full list of integrations. Finally, Pipedrive is incredibly cost-effective. They offer a free trial, and €24 per month per user once it expires. Considering the benefits of Pipedrive, the cost is very reasonable. YesWare is my favourite tool for sending and tracking emails. Not only will YesWare show you who opened and clicked on your emails, but it will also track whether clients opened your attachments. This is incredibly handy if you want a clearer insight into the status of your leads. Someone who downloads your Marketing brochure for example, is definitely worth following up with. What makes YesWare special however, is the capability of sending bulk emails which look and feel personalised. By taking advantage of its Mail Merge feature, you can send send up to 2,000 emails per day, which pull in variables from your uploaded CSV file. For your Email campaigns, this ensures much higher open and response rates, than on campaigns sent through generic providers like MailChimp, Mailjet or SendGrid. The one setback here, is that Mail Merges are limited to 200 at a time. In practice this means you will have to send five campaigns for a campaign of 1,000 contacts. This is off-set slightly however, by the fact that you do not need to include an unsubscribe link, which further improves the campaigns success. Considering all these awesome features, the $25 a month price tag is exceptional value for money. The good folks over at Wordstream have devised this cool little tool, which allows you to compare the performance of your Adwords landing pages against an industry benchmark. Start off by entering your basic information and then connecting your Adwords account. The tool will then provide you with some excellent metrics, giving you a brief overview of the relevancy and performance of your landing pages. An eye-watering $51 billion was spent on Adwords campaigns in 2015. SpyFu let's you dig into your competitors Adwords spending for free. Marketers enter a competitor URL to receive top keywords, average CPC, and Ad copy for that URL in Adwords. There is also a bunch of Organic data which compliments data from other tools well. It's an incredible tool and indispensable for competitor analysis. MozCast is a fun depiction of the volatility of the SERPs. Run by the good folks over at Moz, this handy tool tells Marketers if the arrangements of SERPs for millions of queries have shifted significantly or not on the day. If you want to have a look at the previous 5 days, the MozCast lets you do that too. Why is this handy? The MozCast is very good at predicting major Google algorithm changes. Thus, if the past 30 days have been "stormy" pop over to SearchEngineJournal, SearchEngineWatch, or MOZ and see if there is news of any major algorithm changes in the works. For reference, look no further than April 21st 2015, when Google's latest algorithmic shift towards mobile, tore up the SERPs. This is by no means a tool you need to visit with your morning coffee every day, but It's good to take a peek once in a while to stay in the loop. I have to admit that my start with SEMrush was a little rocky. Having worked with Searchmetrics previously, I found SEMrush to be overwhelming, a jack of all trades but a master of none. That being said, SEMrush has completely won me over in the last three or four months. Using it regularly, and getting the chance to really dive into this great online marketing tool, has shown me how limited other all-in-one equivalents really are. Sure it still has some weak points, but no tool of this awe-inspiring scope is without minor faults. I am thinking particularly of the backlink checker, which stands a little embarrassed beside dedicated tools like Ahrefs and Majestic. This is a pretty great tool for anyone who wants to host Webinars on a budget. Easy to use, and totally free, Hangouts On Air, allows you to host live video sessions with whomever you want. You are provided with a link to share with your audience, and can mute or exclude members whenever you wish. Viewers can leave comments below your video and ask questions if you enable the Q and A function. Additionally, Hangouts On Air lets you share your screen with participants, allowing them to see the presentation you have opened on your screen. Finally, this tool can even be used for the creation of HD YouTube videos. Sure, it's not going to be the best content on Youtube, but it nevertheless gives you extensive editing options in the Video editor, and even lets you layer different video and sound content on top of each other. An incredible service, considering it's free. Hotjar is one of the most powerful analytics tools available to Online Marketers. 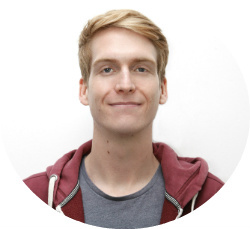 Hotjar allows you to create heatmaps and user recordings to fully understand how visitors are engaging with your website. Using heatmaps, you can see exactly where your visitors are clicking, how far they're scrolling and where they hover the mouse. With this information, you can optimise your conversion funnel, fine-tuning your site to make the most out of every user. On top of that, Hotjar also provides polling and survey capabilities, which can be used to engage the visitor and gain valuable insights from them. There is a limited free plan available, and paid plans beginning at $29 per month. Open SEO Stats - Probably the plugin that helps me most in my day-to-day Marketing activity. Get access to a ton of important data, such as Page Rank, H1, H2 and alt tags, meta description, IP, location, Sitemaps, robots.txt files, and more. For free and at your fingertips. MOZbar - Gives you the domain authority of individual websites and even SERPs. This is of huge help when trying to assess ranking probabilities. Link Parser - Quickly see if links are dofollow or nofollow. To understand why this is important, check out myeffective guide to link building. SimilarWeb - Gives you some amazing insights, including: estimated monthly traffic, traffic sources, geolocation of visitors, mobile apps, top organic keywords and much more. This is a must-have although the data is often little more than an educated guess. Buffer - Massive time saver for anyone active in Social Media Marketing. Allows you to connect your Twitter, Facebook, Google Plus and LinkedIn accounts and post to all of them simultaneously. UTF-8 Characters - UTF-8 Characters placed within Meta-Descriptions have had a great, positive impact on CTRs. This plugin gives me instant access to a ton of fun, colourful UTF-8 characters making life that little bit easier. CliClap - Use this extension to easily share content across your Facebook, LinkedIn and Twitter accounts. The knockout factor, is that you can add your own customised CTA ;) Read my review for more. Yoast - The Yoast plugin has established itself as the definitive free SEO plugin for Wordpress. It provides an essential On-Page guideline for each blog post or web page, and displays issues in a helpful traffic light system. For beginners and veterans, this is a must have. Broken Link Checker - This handy Plugin notifies you when a link on your site is broken. Broken links are most likely a ranking factor, which makes this plugin definitely worth having. Proofread Bot - This cool little Plugin helps correct spelling, grammar and style issues. Additionally, it checks your content for plagiarised copy, which is particularly handy if you commission content from third parties. SumoMe - Within a couple of months of implementing SumoMe's list builder Plugin, we had captured over 800 new email addresses. Considering this Plugin is free, this is an amazing result. Highly recommend! Table Press - Creating excellent content isn't enough anymore. It needs to be appealing, engaging and - at best - interactive. Table Press allows you to create excellent tables with visual appeal and interactive elements. SeoPresser - This handy little Wordpress plugin provides free access to unlimited LSI (Latent Semantic Keywords) keywords, right in your Wordpress site.